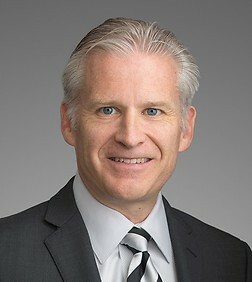 Sean P. O'Connor is the Managing Partner of the Orange County office. He practices in the firm's Business Trial and the Real Estate and Land Use Litigation Practice Groups. Mr. O'Connor is one of the more experienced trial attorneys in the firm, and his practice concentrates on general business litigation with an emphasis on real estate litigation, eminent domain, business torts/contracts, securities litigation, professional liability, land use litigation and complex class action litigation. He currently serves as head of the firm's Real Estate Litigation Practice Team. Mr. O'Connor has represented a variety of large and small businesses, property owners, developers, lenders and law firms in virtually all aspects of litigation. He has conducted numerous trials and arbitrations, including serving as lead trial counsel in both jury and bench trials. He has handled appeals in both the state and federal appellate courts. Additionally, Mr. O'Connor has handled disputes between oil companies and service station retailers including disputes arising from the Petroleum Marketing Practices Act. Mr. O'Connor successfully defended Cottonwood Christian Center in a lawsuit that received national attention and was ultimately successful in preventing the City of Cypress from taking Cottonwood's land through the power of eminent domain. He was lead trial counsel in two week jury trial for Fidelity Investments, property owners in an eminent domain action against Caltrans. Jury rendered verdict for client more than $3 million greater than Caltrans' offer. He was lead trial counsel for Yucaipa Valley Acres Golf Course in a breach of contract action against Yucaipa Valley Water District. After a two week jury trial, the jury awarded his client every penny demanded. He was trial counsel for City of Anaheim in action against Angels baseball team to remove "Los Angeles" from team name. He was lead trial counsel for X10 Wireless Technology Inc. in three week jury trial involving internet advertising and claims for unfair business practices, intentional interference with contractual relations, and fraud. He was lead trial counsel for property owners in action against City of Laguna Beach challenging zoning and other restrictions on clients' property. Judgment in favor of clients overturning subject zoning and removing other restrictions. He was lead trial counsel defending individual in embezzlement action brought against client by privately held company. Case settled on first day of trial, with plaintiff dismissing client from action and paying for client's attorney's fees. Represented Chevron in eminent domain action against City of Elk Grove regarding City's taking of Chevron service station. The case settled for more than $1 million more than City's offer. Represented Chevron in eminent domain action against City of Garden Grove regarding City's taking of Chevron service station. The case settled for more than $1.5 million more than City's offer. Obtained summary judgment for LendingTree in class action alleging intentional interference with contract. Represented Pacific Mercantile Bank in class against suit regarding alleged violations in Federal Truth in Lending Act. Defeated plaintiffs' motion to certify class, effectively ending case. Represented prominent law firm in legal malpractice action arising from client's advice on real estate development project. Represented international law firm in lawsuit brought by former partner against the law firm. Mr. O'Connor is a Board Member and Past President of the Association of Business Trial Lawyers. He has also served as a Board Member of the Orange County Federal Bar Association and is member of the Orange County Bar Association's Business Litigation Section. Have Redevelopment Agencies Gone Too Far Using the Power of Eminent Domain?